According to preliminary data from the World Health Organization (WHO), measles cases in the first three months of 2019 increased by more than 300 percent over the same period last year. Currently the spread of this disease is observed in more than 10 countries. Measles is a contagious and highly contagious disease characterized by high fever, coughing, runny nose, and rash. In 2017, 110,000 people died from this pathology worldwide, most of them children under the age of five. Over the past decade, the incidence of measles has increased due to fear of the vaccine, so the vaccination rate is lower: 95% coverage is required to prevent outbreaks. Standard procedures include two doses, but according to WHO, in recent years, only about 85% of the world's population has received the first dose and 67% have been treated. 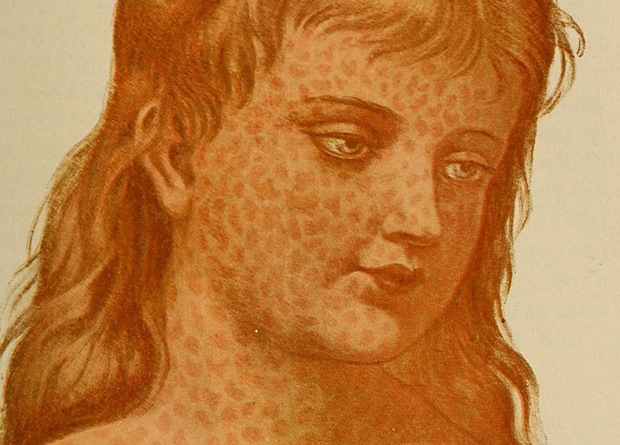 A record outbreak of measles has been reported in Europe last year. In February, 136 people were killed in the Philippines. Perception is also a strict daughter. After the report, the number of children immunized has risen sharply. Preliminary data from the World Health Organization (WHO) show that 112,163 people in 170 countries have deteriorated to measles in January and March 2019. This is an increase of 300% over the same period in 2018 (28,164 in 163 countries). It increased by 700% in African countries and by 300% in Europe. The outbreak continues in some countries and, according to WHO estimates, one – tenth of the official statistics are included. In Latin America, the measles plant again flagged a year ago. This week we reported on measles cases imported from Spain and measles cases in Uruguay infected by Russian tourists. Similarly, recent measles has been reported in Brazil. This news was originally posted on N + 1, and the science is merged. N + 1 Info: The first online magazine for science and technology dissemination that replicates all or part of content through communications, bloggers and influential people and makes references to text and web links. It was originally published in the N + 1 magazine, and science is at www.nmas1.org. "